Perry Homes New Model Now Open! We’re thrilled to share that Perry Homes has opened a new model home in Rosehill Reserve! They celebrated with a Grand Opening Event on March 21st and now can’t wait to show you what this home design has to offer. Stop by 21414 Chestnut Rose Road to get a tour of the 4 bedroom and 3 bath model home. The 3257W design features a library with French doors and formal dining room frame entry with 13-foot coffered ceiling. The gorgeous open family room has a wall of windows for great lighting. A game room with French doors sits just off the morning area. Not to mention an island kitchen with walk-in pantry and Butler's pantry. Be sure to check-out just how spacious the master bedroom is with 12-foot ceiling. And it gets even better — the master bath features a corner garden tub, separate glass-enclosed shower, dual vanities and two large walk-in closets. There’s also a guest bedroom with a full bath and walk-in closet. Don’t forget to take a look outside at the extended covered backyard patio. Then stop by the mud room just off three-car garage with a 5-foot side extension. Ready to see this model in person? The sales office is open from 10AM to 7PM from Monday through Saturday and from 12PM to 7PM on Sundays. Call Michael Sledge at 281.351.2330 to schedule an appointment! Perry Homes has spent spent over 50 years building a sterling reputation as one of the largest and most trusted builders in Texas. 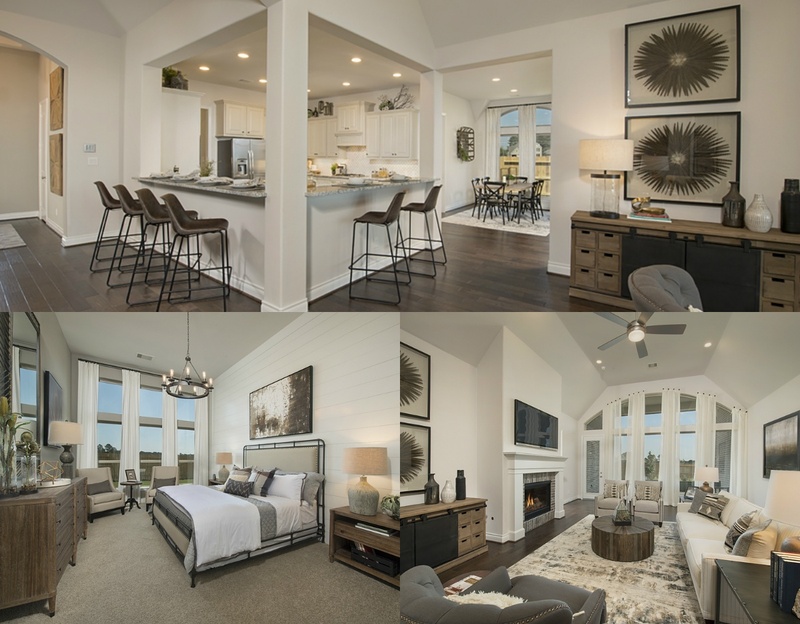 They offer designs for every lifestyle, from 2,800-3,800sqft and priced starting from the $340s— click to see what else they have going on in the Rosehill Reserve community!